In a pinch-hit scenario in the bottom of the ninth inning, Jose Tabata was hit by a Max Scherzer pitch to end his perfect game. Scherzer needed just one more out to secure the feat. The HBP had little impact on the outcome out the game, but it will remain a permanent blemish for Scherzer, who has flirted with perfection his last few outings. 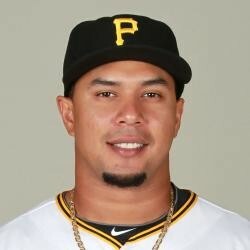 Some argued Tabata leaned into the pitch, perhaps it was some stern gamesmanship The Pirates (39-29) will try to bounce back today against Gio Gonzalez.